Defects and failure of assets during service may often be traced back to corrosion deterioration, thus corrosion monitoring and corrosion protection become a vital and integral part of asset construction and maintenance. Corrosion protection is valuable in preventing unplanned production stoppages or safety risks as result of asset performance reduction. Assets such as bridges, platforms and transportation equipment require corrosion protection or monitoring as an integral part of the maintenance programme throughout the life of the asset. Several corrosion protection and monitoring techniques have been developed and these are widely used in the industry with the objective of slowing down the inevitable corrosion degradation process. The techniques selected will vary depending on the material to be protected and the exposure environment. It is important to note that application and maintenance of corrosion protection such as painting, cathodic protection are time consuming, costly and have safety implications. The construction industry has adopted Lean thinking in order to improve the effectiveness and efficiency of construction work. This new working practice requires the use of specialist tools and techniques. Lean training is required to be undertaken so that Lean can be deployed throughout the supply chain. It is therefore essential for corrosion specialists to become acquainted with this new work practice and to have an understanding of its potential benefits. In the construction environment corrosion protection and monitoring are often carried out, not as standalone activities, but alongside other work activities. This is more so during major maintenance works. For example, in road maintenance work several work activities compete for time and space in order to maximise traffic management. This means that a variety of work activities will be carried out in parallel, often within a restricted space and adjacent to live traffic. Therefore, good planning, logistics and engagement with other work trades become even more crucial to ensure that the corrosion protection processes can be carried out and delivered within time, budget and at the desired quality standard. The corrosion community is part of the civil construction supply chain and it will be expected to demonstrate adoption of Lean as part of their organisation objectives, which will be assessed regularly. The corrosion protection/ monitoring methodology is essentially a process which includes and relies on elements such as: manpower, machinery and equipment, material, method and information and design. 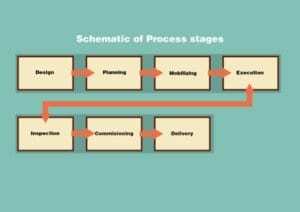 This can be compared to the process requirements of a production system, with the activities forming an essential pre-requisite to delivering an effective task planning and process control. As a general rule, corrosion protection processes comprise of the following elements or activities (Figure 1). By mapping and analysing the process stages and identifying what activities are value added or non-value added (waste), the opportunities for improvement will be revealed. Removal of waste from the process will result in projects being delivered efficiently, safer, within budget, providing required performance, and at rate required by the customer. Over the past 40 years, many different industries, such as automotive, service, shipbuilding, healthcare, software and construction have adopted the principles and methodology of a renowned production system developed by the Toyota Motor Corporation to attain the same overarching operational targets of having a consistently effective production system and efficient processes. This production system is often called the Lean Production System (LPS), and will be referred to as Lean from now on. Lean has proven effective in contributing to a sustainable operational success on many occasions in different industries. After the Latham report published in 1994, the UK Government set out to improve efficiency within the public sector. The Lean Production System (LPS) and its tools and techniques have been deployed since the late 2000s in large public organisations in the UK. For instance, Highways England has generated over £80M of benefits to date by applying the Lean tools and techniques to several of its schemes and projects within both the organisation’s internal processes, and across the supply chain (2). This article will introduce some of the key principles and methods of Lean which, if deployed, are thought to be relevant to improving the effectiveness and efficiency of corrosion protection processes. The link between Lean and some common corrosion protection methods will also be discussed. Lean is a customer focused and structured production management system and process improvement methodology which aims to ensure the delivery of customer requirements at the required quality standards and rates. While delivering customer expectations, Lean utilises several tools and techniques to support the removal of waste within a process, thus ensuring a more efficient process. An important aspect of Lean is the collection, understanding and analysis of the ‘as is’ state before the deployment of appropriate Lean tools and techniques. By achieving an in-depth understanding of the present state of the process, a Lean practitioner will be able to challenge the present process activities/practices. Specify value from the standpoint of the end customer (internal or external). Identify all the steps in the value stream for each corrosion protection activity and whenever possible, eliminate those steps that do not create value (the Lean wastes). Make the value-creating steps occur in a tight sequence so the work will flow smoothly toward the customer. In the meantime, standardise the system to minimize variability. As the flow is introduced, let the internal customer pull value from the next upstream activity. Continuously improve the system using the first four steps. VA = Valued added. These are the activities which add value to the end product and for which the customers are prepared to pay. ENVA = Essential Non-Value Added. In this category, are the legal, environmental, Health &Safety (H&S) and training requirements which are compulsory parts of the process, although the customer is not generally prepared to pay for these aspects. NVA = Non- Value Added (WASTE). These are activities within the process which do not add any value to the end product and for which the customer has no appetite to pay. A model of a Value Stream mapping analysis when all activities and links are shown and classified as VA, NVA and ENVA within a timeline, is shown in Figure 2. This provides a good visual representation of the activities that can and should be reviewed/ removed from the process, or to highlight where the main process improvement opportunities are. In general, works across the construction industry are impacted by environmental and weather conditions and differ from those of controlled and repetitive processes found in the manufacturing industry. It is important to understand and adapt the fundamental Lean principles in order to effectively deploy these into one’s own work conditions. This needs to be done through customised applications. Transportation of goods during production. Inventory which has to be managed, taking valuable space, time and resources. Movement of workers during the delivery of work to get tools, equipment, and materials located away from their workstation. Defects – defects waste time, resources for re-work, and can impact on customer satisfaction. The use of untrained staff to perform specialised activities creates defects in the short, medium and long term and has direct impact on the protection and asset performance. Corrosion specialists are aware that the application of specialised corrosion protection and corrosion monitoring relies heavily on how they are executed. A lot of the times the execution of the protection is as important as the materials used. Therefore staff training is vital to the performance of the corrosion protection. At the operational level, the Lean principles are realised by implementing some Lean methodologies, tools and techniques. 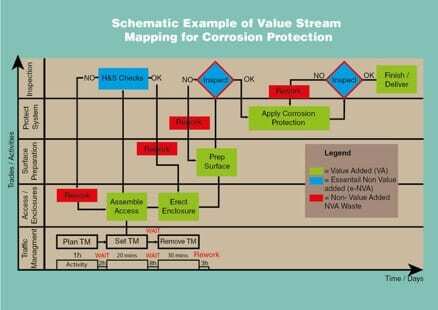 The selected tools and techniques outlined in this section have been chosen as their use seems to fit with the corrosion protection and monitoring activities, and where the corresponding benefits can easily be identified. Unlike highly structured and controlled work environments like factories and shop floors, corrosion protection of large structures/assets generally take place in dynamic and complex environments, such as, construction sites, motorways or oil platforms, where the tasks of trades are interconnected and dependent on many uncontrollable factors. In those complex work environments, alongside systematic coordination and constant planning and re-planning, proactively and collectively eliminating task constraints takes precedence. For those purposes, the Last Planner System (or Collaborative Planning as it is called in the UK) has been successfully used in project-based production systems for more than 25 years to provide a “pull-based” production planning and control mechanism that is executed by the very “doers” of tasks. (Plans are not pushed by “planners, schedulers or senior managers” who are detached from the actual production.) The Last Planner System goes beyond the Critical Path Method (CPM) by not only effectively controlling tasks themselves, but also controlling complex process flows and trade interactions (3). The Last Planner System is essentially a collaborative planning process or method that involves the stakeholders such as, trade foremen and design team leaders (the last planners) in planning in detail the work to be done throughout the project. The discussions become more and more detailed as the work progress. This technique was created to enable more reliable and predictable production in projects. It also supports the flow of work through the project, building trust and collaboration within a project team and delivering safer projects faster. It brings together those who will execute the work (the team) to plan when and how work will be done through a series of conversational processes. It requires the group to remove constraints collaboratively as a team and to promise delivery of each task for the team. 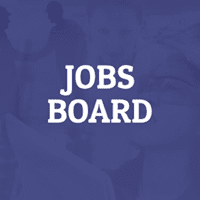 The use of the Last Planner will promote engagement and discussions with stakeholders’ representatives at the beginning of the project, allowing for their understanding of the work interactions, any issues or any ideas they may have for improvements, and will lead to their consensus on the rate of work. The teams will actively work together and cooperate with other teams and trades to remove any process constraints to keep their planning promises on track. The 6 week look-ahead, with a review process every 2 weeks, has proven to be an effective approach to reduce project durations by up to 30%. Weekly meetings offer valuable learning and improvement opportunities for even more reliable planning in the future. It is also important to collect data on percentage planned completed (PPC) to measure performance against targets and review what went well and what didn’t go so well, to ensure lessons learned are understood and communicated to the team in order to drive Continuous Improvement. Master scheduling; front-end planning to set the project milestones that incorporates the CPM logic to determine the overall project duration. 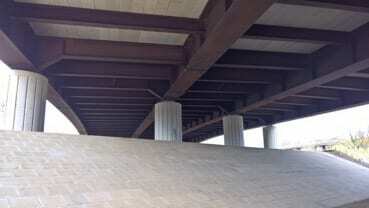 Phase scheduling; a detailed schedule dividing the project into discrete phases. It specifies handoffs through reverse scheduling the project to understand how to meet the milestones identified in the master planning together with all teams and trades. Look-ahead planning; the pull planning phase covering two-six week periods. It is used to breakdown activities into detailed processes/operations, to regularly identify constraints, to assign responsibilities and to make assignments ready. The Last Planner System is highly applicable in corrosion protection planning and control. As there are several trades working together under complex project systems in corrosion protection, and sometimes within confined spaces and with limited time to complete the work, the Last Planner System would render an effective mechanism to engage the trades, and to ensure they all understand the impact of each of their activities on others. Such as, if the scaffolding is not in place in time, the blasting is delayed or the fact that the paint or the equipment is not in place, will impact on the delivery time and the process flow. As the process progresses, a daily stand-up meeting around a Continuous Improvement cell or board should take place to check, in detail, what has gone well, what has not gone well, and why. This is known as the 3C’s tool (Concern, Cause and Countermeasure) and it makes certain that the day meeting is focused on these points. This practice also ensures that all raised concerns are discussed and addressed by those involved in doing the work, as resulting actions will promote improved work flow for the next day or shift. 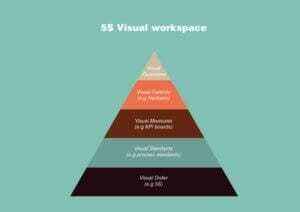 In order to realise Visual Management, a systematic visual workplace framework should be followed (see Figure 3). Visual standards: Work standards in terms of process procedures (i.e. 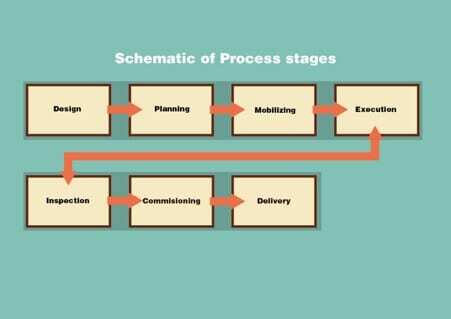 the most efficient and safe way of completing a high-quality process with required durations) and process outcomes (i.e. high-quality outcome features) are visually demonstrated to work teams at their point of use, close to where the actual process is going to happen. Standards are effectively built into the workplace. Visual measures: General and team level KPIs are regularly maintained and shared with work teams. KPIs are shown with their actual and target figures. 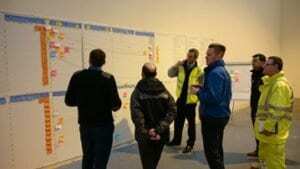 Teams have their meetings around their KPI boards to review their past performance and to coordinate their future efforts, as per their team targets. Visual controls: Visual controls are visual clues or small artefacts that are used to limit and guide human actions. For instance, in the pull-production system, production signals from succeeding workstations are given to preceding workstations through the exchange of simple cards called kanban. Without a kanban card, the preceding workstation does not start any production. By issuing a certain number of cards to workstations, the production pace and material consumption rates are controlled. Visual guarantees: Humans are prone to making mistakes. The important thing is to prevent mistakes from becoming defects. Visual guarantees are devices, process design elements or product features designed to counter human failures by either warning people of mistakes, rendering making mistakes harder, or controlling the effects of their mistakes. They are also called poka-yoke systems. (Poka-yoke is a Japanese term that means “mistake-proofing” or “inadvertent error prevention”.) Visual guarantees are good for increasing process quality and safety, and reducing process set-up times. ‘Andon’ boards that give visual and auditory signals (warnings) in case of a mistake or deviation is a typical example of this. PDCA cycle and time/motion studies. The PDCA cycle is a standardized continuous improvement approach that is an abbreviation for “Plan-Do-Check-Act”. Plan; recognize an opportunity and plan a change. Do; test the change. Carry out a small-scale study. Check; review the test, analyze the results and identify what you have learned. Act; take action based on what you learned in the study step. If the change did not work, go through the cycle again with a different plan. Often, processes are improved with time/motion studies through this cycle, in which processes are recorded on video and studied by their value-adding, non-value adding and necessary non-value adding activities. The aim is to eliminate the non-value adding activities while reducing the non-value adding necessary activities by making changes in the process elements. Value stream mapping. Documenting the flow of material and information as a product or service makes its way through the value stream, from start to finish to classify the many activities as VA, NVA or ENVA and to check for wastes in the process and to identify improvement opportunities. Root cause analysis and 5 whys. Root cause analysis is a popular technique that helps Lean practitioners to answer the question why the problem occurred in the first place. It seeks to identify the origin of a problem using a specific set of steps, with associated tools, to find the primary cause of the problem, so that one can, determine what happened, why it happened, and what to do to reduce the likelihood that it will happen again. Alongside Pareto and scatter diagrams, fishbone diagrams tracing the root causes of problems back to methods, machines (equipment), people (manpower), materials, measurement and environment, are popular root cause analysis tools. Also, it is believed that asking the why question five times (5 Whys) with respect to the problem, in an iterative manner is an effective tool to trace the problem’s root cause. A3 sheets – This is a Lean summary report in an A3 page which captures the main elements of the Lean project. The table below summarise’s the Lean tools and techniques that could be deployed in corrosion protection/monitoring processes, and identifies their potential benefits. It should be noted that this table highlights only some initially conceived connections that can, and will be expanded as the implementation progresses and matures. Painting 5S Ensure that materials and equipment are kept under controlled environments, ready to be handed at the start of the work and labelled and within up to date calibration dates Prevent delays to the process, ensure PPE reducing H&S issues. Ensure paint material not exposed to temperature extremes which will result in material deterioration. Prevent wasted time trying to find the right equipment/ materials to perform the work. Painting/ Cathodic Protection Skills checking Ensure workmanship has necessary training and skills to perform the tasks Maximise coating/ anti-corrosive performance thus prevent early failures increasing asset whole life costs. Prevent waste due to skills misuse. Cathodic protection The Last Planner System Ensure all stakeholders/ sub-contractors are aware of the required access, tools, materials & skills necessary to allow for the implementation of the Cathodic protection Prevent time waste, delay on the works, reduce performance of the system. Material deterioration as result of corrosion is often accepted as unavoidable and it has led to the lack of awareness of the economic aspects of corrosion. The estimated cost of corrosion as per Hoar committee findings is around 3.5% of the UK GDP (Hoar report – 1971, reference 5). For major asset owners, maintenance of the anti-corrosion technology is an integral part of the asset design and management to ensure asset integrity throughout its service life. Maintenance intervention for corrosion protection is costly and the number of interventions will vary with asset design life, quality of the protective material, workmanship and service environment. Deployment of Lean is likely to improve the efficiency and effectiveness of corrosion protection/monitoring. This can be achieved by using the Lean techniques described in the previous sections. Finding improvement opportunities by mapping the ‘as is’ process – the identifying and removing wastes. Preventing defects by continually training specialist staff who specify, and perform corrosion protection and corrosion monitoring, as well as those who perform inspection work. Employing the Last Planner for improved task coordination. Deployment of the Lean tools and techniques will result in reduction of time, cost and H&S risks associated with corrosion protection and monitoring. Applying the Lean principles to corrosion protection and monitoring will also improve the quality and reduce the whole life cost of major assets, which will be of a direct benefit to asset owners and customers. 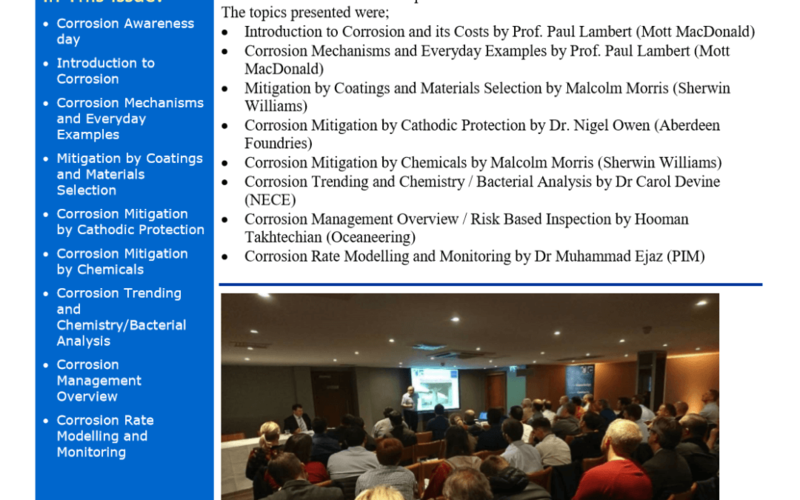 Raising awareness of Lean among corrosion protection professionals, and documenting some implementation cases, seem of critical importance for Lean to diffuse into the corrosion protection sector. Tezel, A., & Aziz, Z. (2015). Visual controls at the workface of road construction and maintenance: Preliminary report, University of Salford, UK. 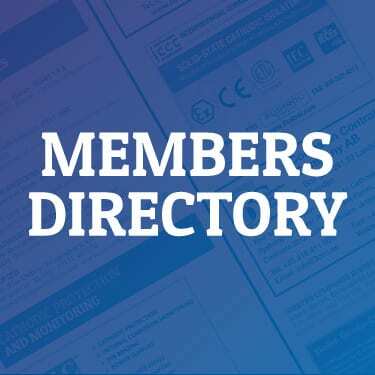 The authors would like to thank John Fletcher of Elcometer, and past President of the Institute of Corrosion, and Katie Jones – Lean Manager of Graham Construction, for their contributions to this article.